When it comes to electric vehicles, range has been a struggle for automakers. Most electrics offer somewhere close to or under 100 miles of range, except for some recent examples like the Chevy Bolt (238 miles) and high-priced luxury models, like the Tesla Models S, X and 3. 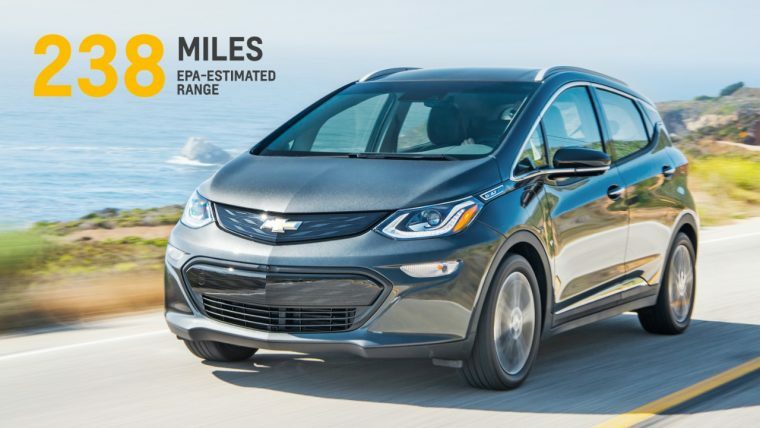 As EVs are slowly getting longer and longer ranges, the question for automakers is, “how much range is enough?” Based on current large-scale EVs, automakers seem to be tentatively trying out 200 miles or so for a good range. However, based on a survey by Autolist, that may not quite be enough. Based on data from about 14,500 people gathered from October 2016 and July 2017, a tiny 3.7% said 100 miles was fine, and another 14.6% said 200 would work (for a total of 18.3% of responses). However, when the poll asked about 300 miles, another 38.9% of people agreed it was sufficient, for a total of 57.2%. Another 16.1% were added for 400 miles, and the remaining 26.7% were added for 500 miles. That doesn’t bode particularly well for the Chevy Bolt or the shorter-range model of the new Tesla Model 3, which both come in at around 200 miles of range, nor does it look good for the incoming new generation of Nissan LEAF, which seems to be about to come out somewhere between 100 and 200 miles of range. An especially bad sign, too, is that in the survey, the metric that respondents cared most about on a new electric car was, you guessed it, range. Unfortunately, that just leaves Tesla’s higher trim levels and largest battery packs, which reach the lofty heights of a 300-mile range. Here’s hoping that more EVs bump up their range soon.